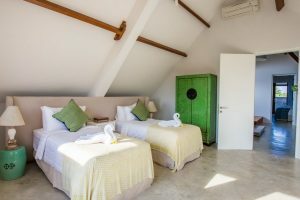 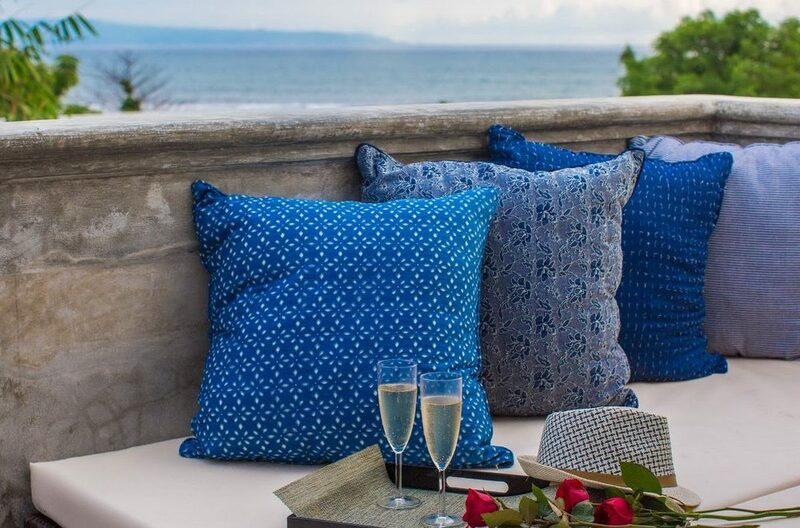 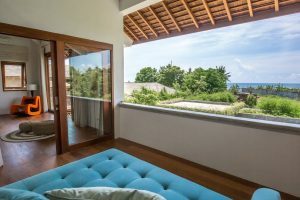 A series of three built-in daybeds, with comfy cushions in nautical blue on the pool deck awaits in the villas sun drenched garden. 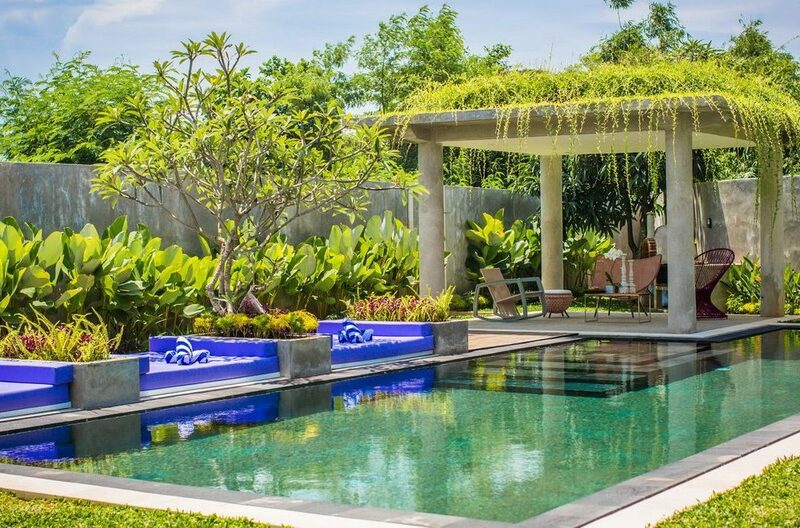 At the end of the pool a gazebo is furnished with an outdoor dining settingand chairs where you can read a book or just keep a safe eye on the kids. 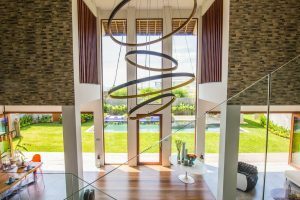 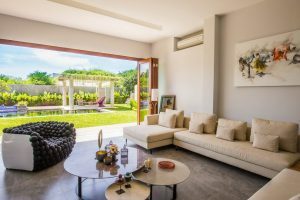 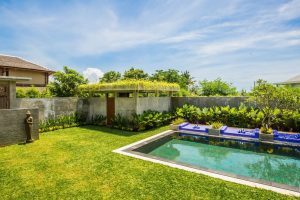 A generously sized lawn is perfectly manicured, separating the pool area from the villa and a great spot for the kids to play some outdoor games. 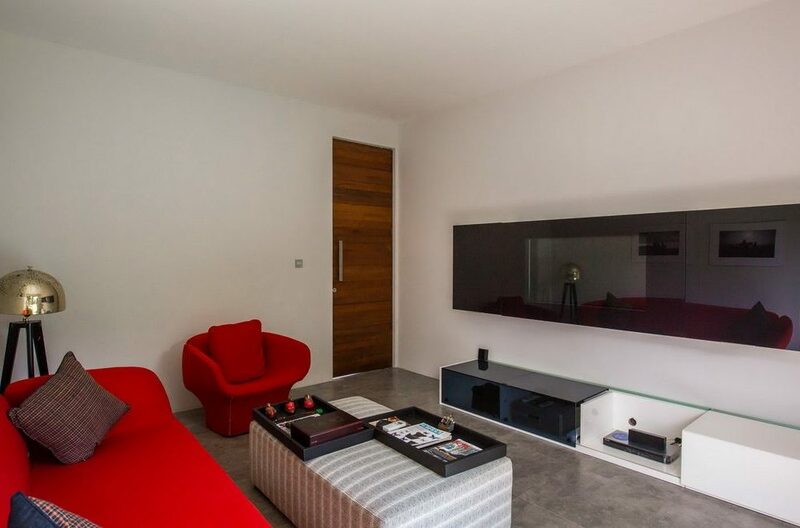 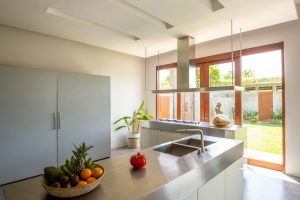 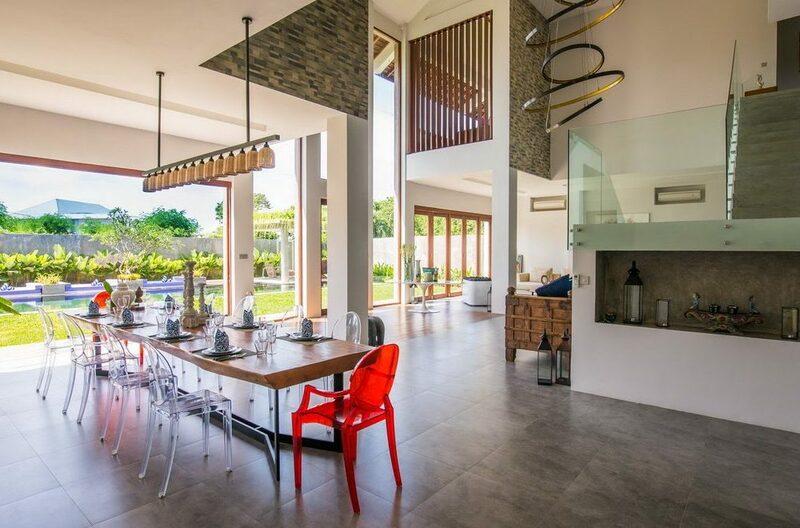 There is also an outdoor grill and BBQ area for lunches by the pool or dinner at the formal indoor dining table. 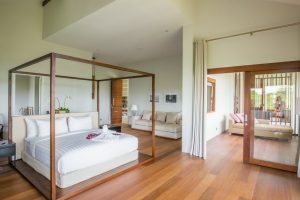 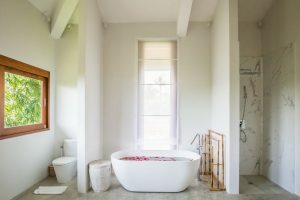 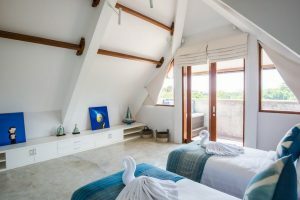 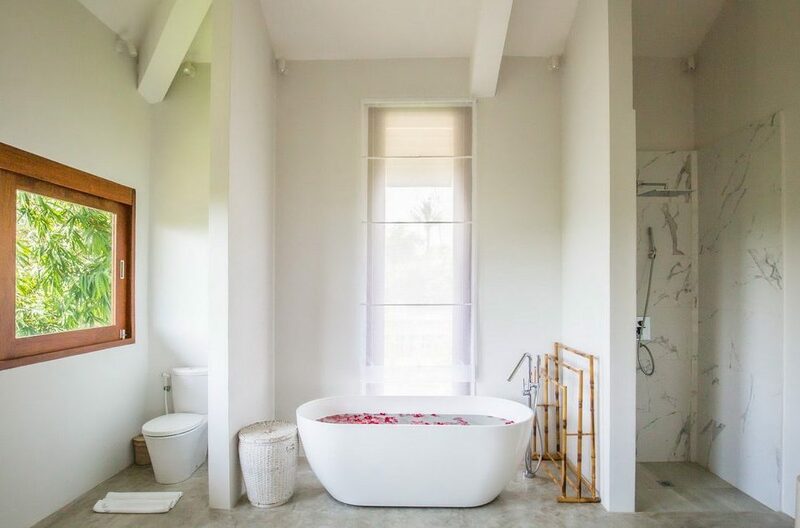 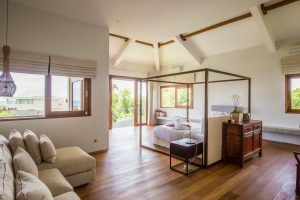 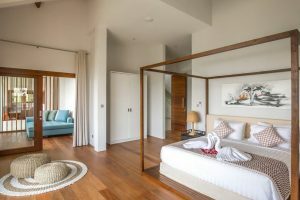 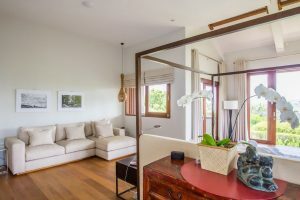 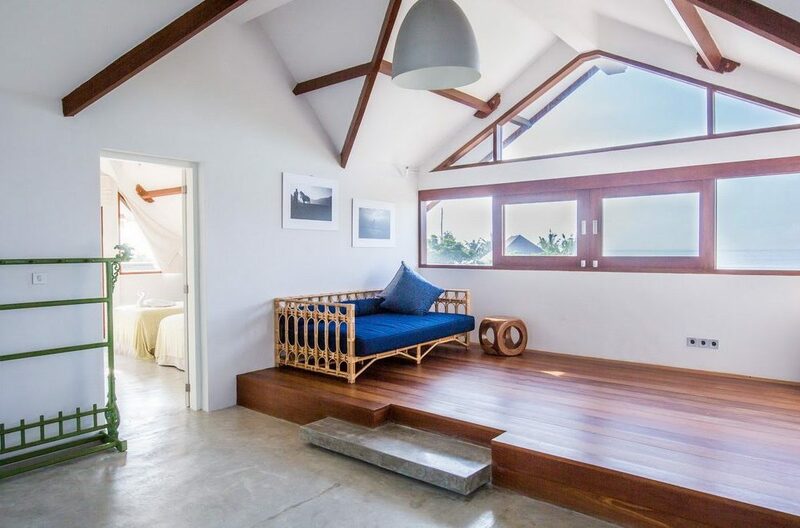 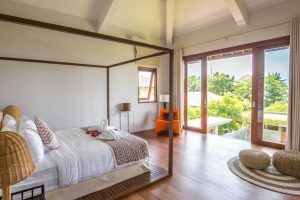 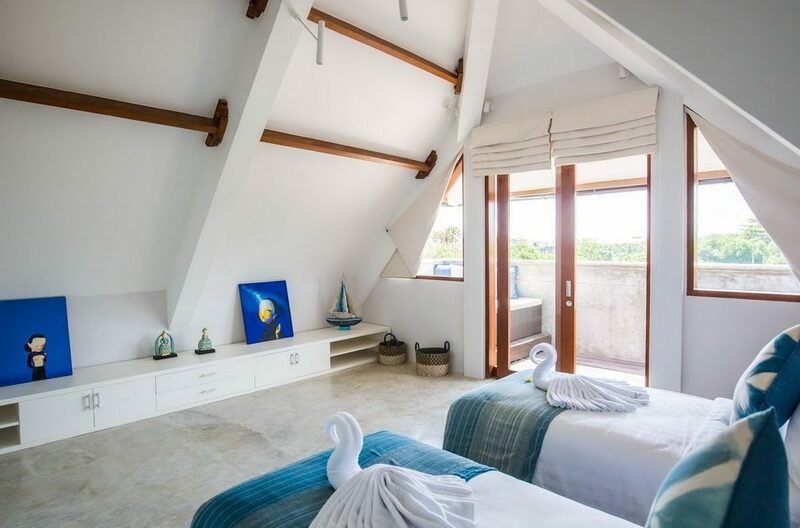 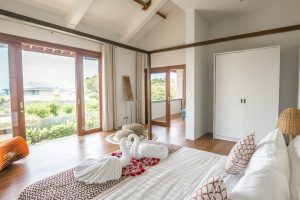 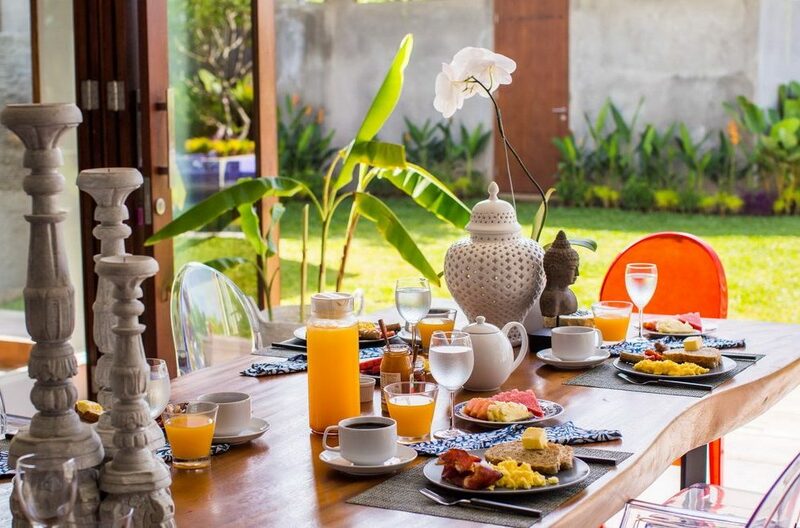 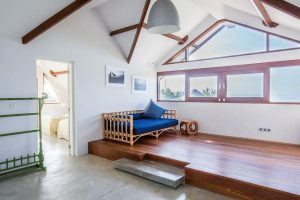 The villa is located on the beaches of Ketewel just a short drive past the main tourist strip of beach side Sanur. There’s a great day club a short drive from the villa called Komune where the kids can swim in the oceanfront pool and dine at the delightful beach front restaurant. 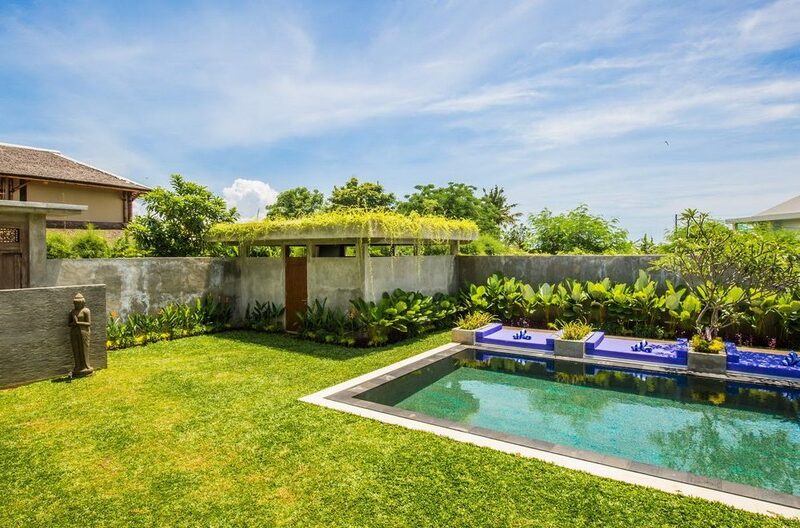 Bali’s cultural and spiritual hub of Ubud is also just a 20 min drive and from Sanur you can catch a ferry or fast boat out to the islands of Lembongan and Ceningan for a day trip. 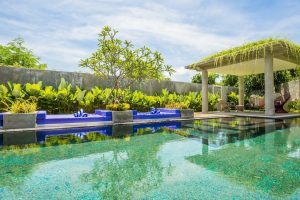 Sanur itself has an array of great restaurants and cafes with a beachfront walking track where you can rest at one of the cafes and do some bartering with the local souvenir traders. 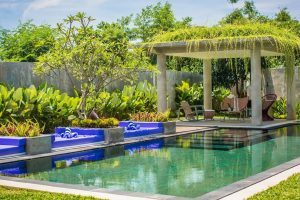 The Bali Safari and Marine Park is also nearby as are other exciting activities such as white water rafting, bicycle tours and quad biking. 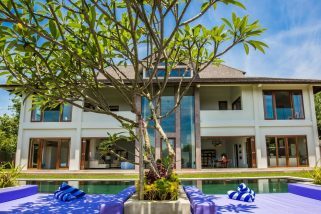 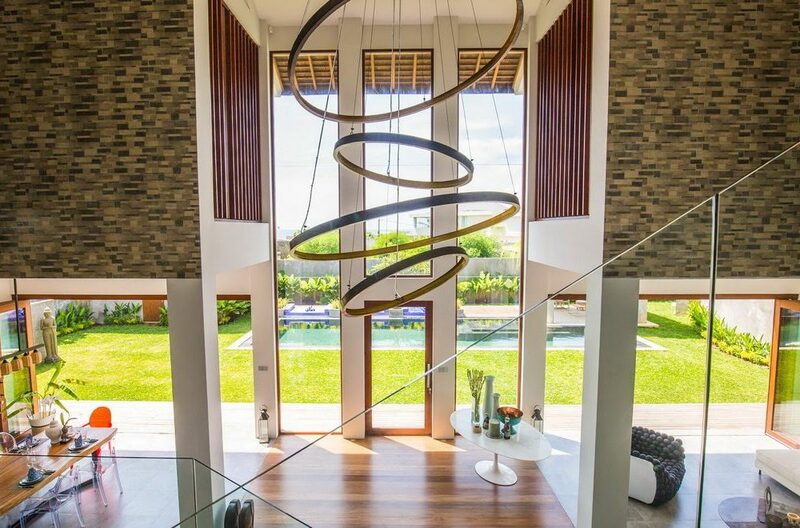 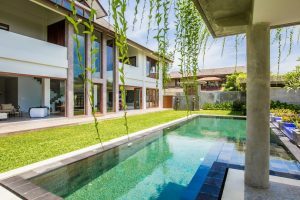 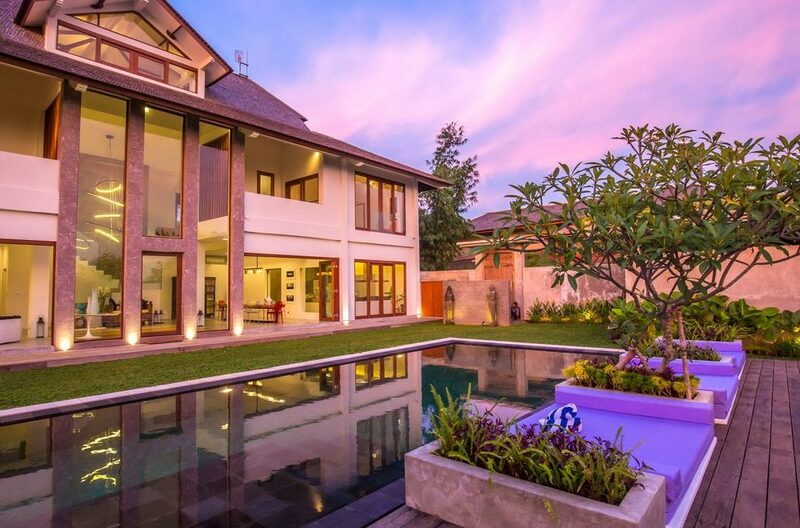 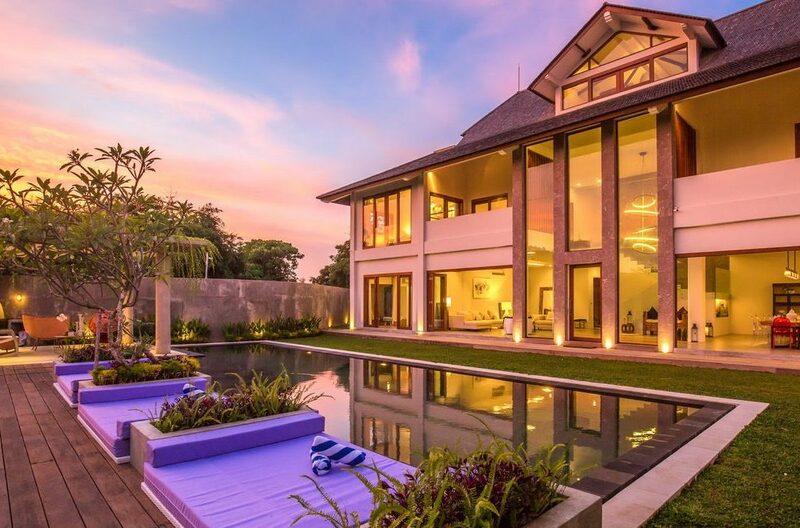 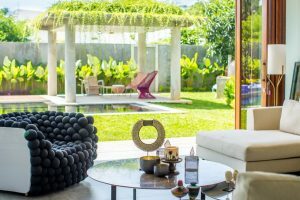 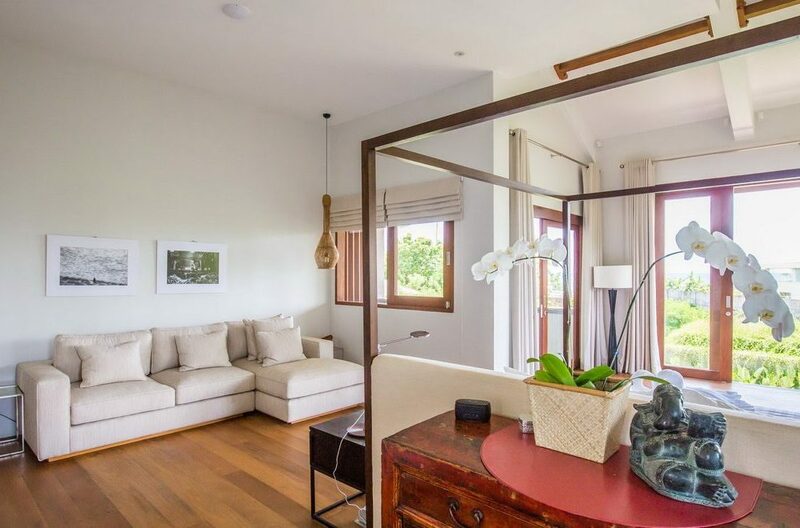 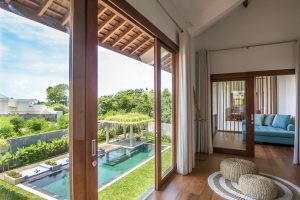 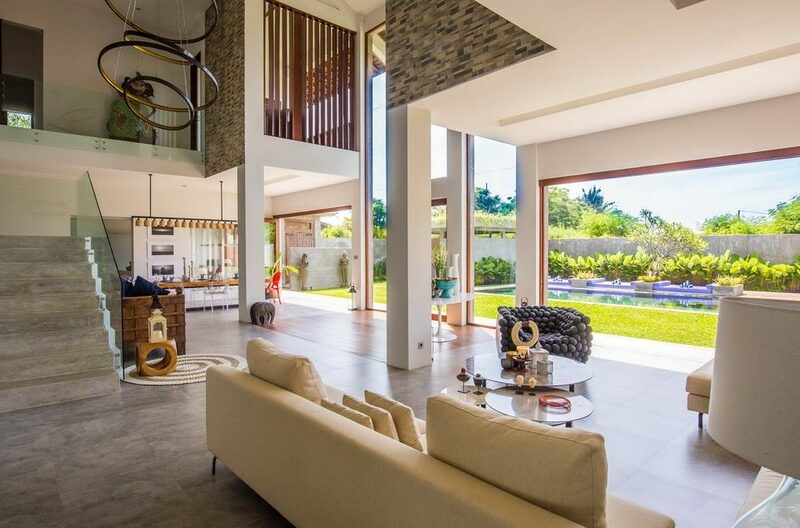 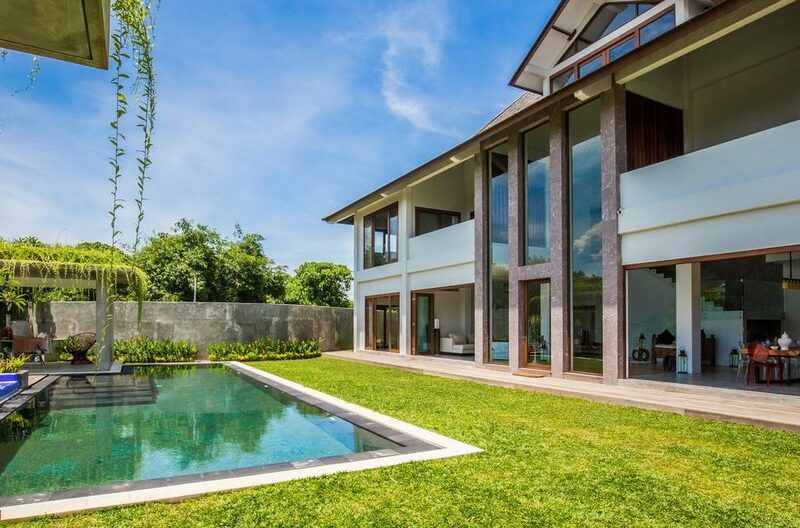 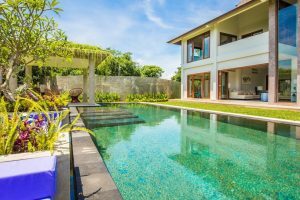 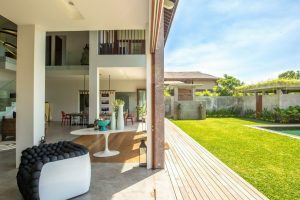 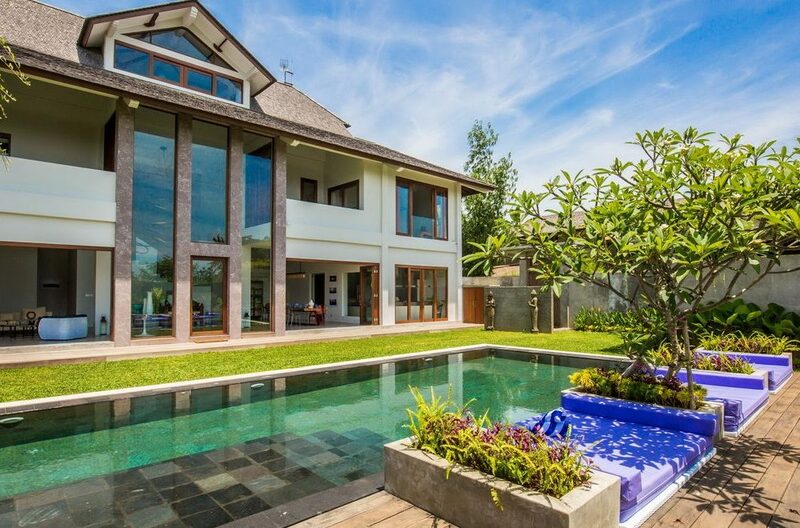 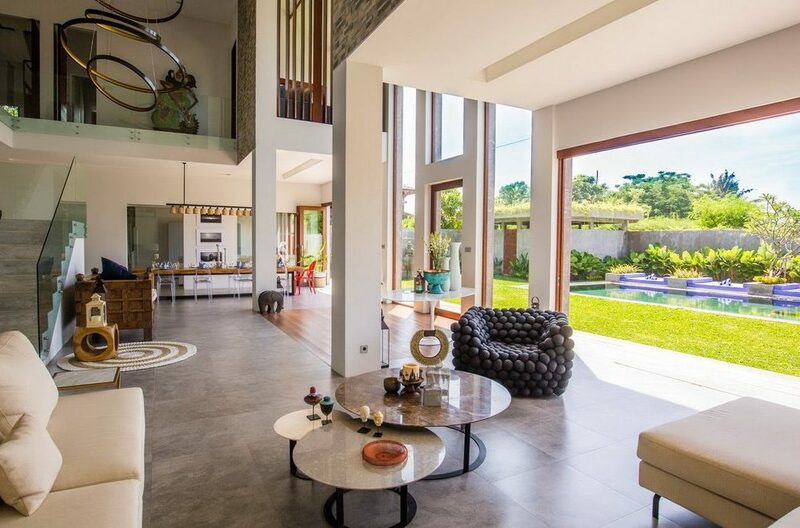 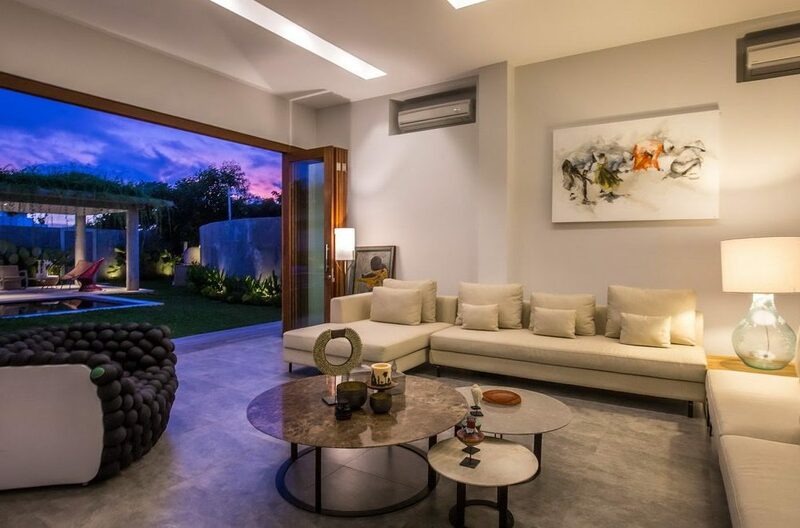 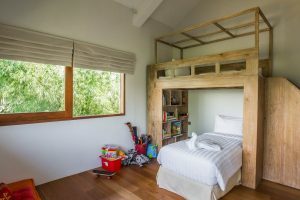 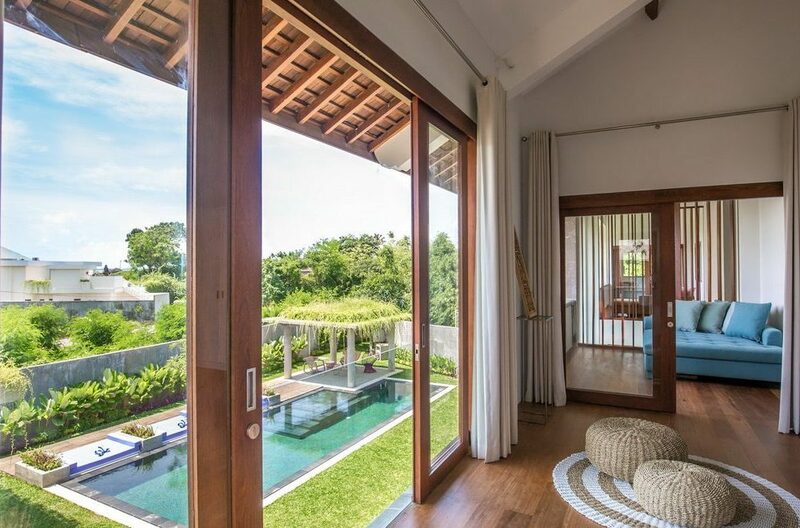 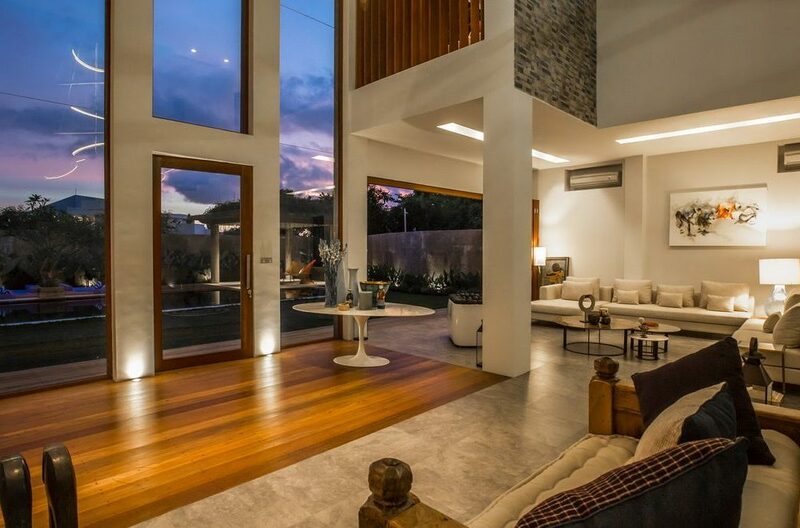 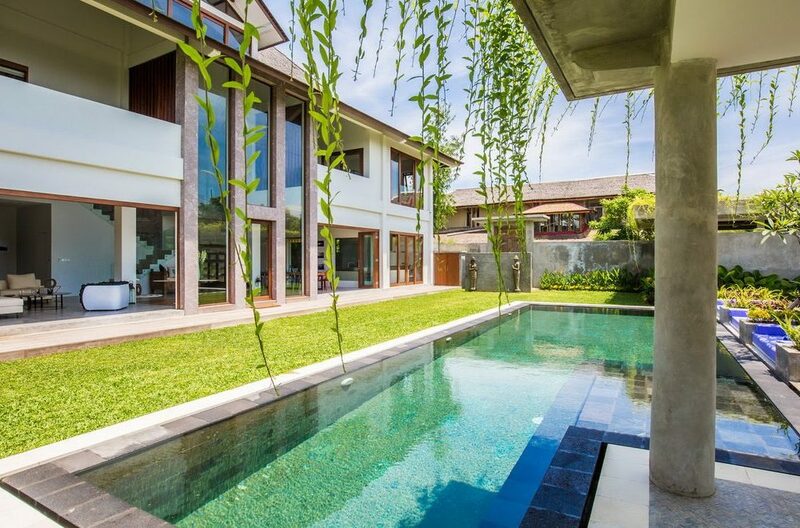 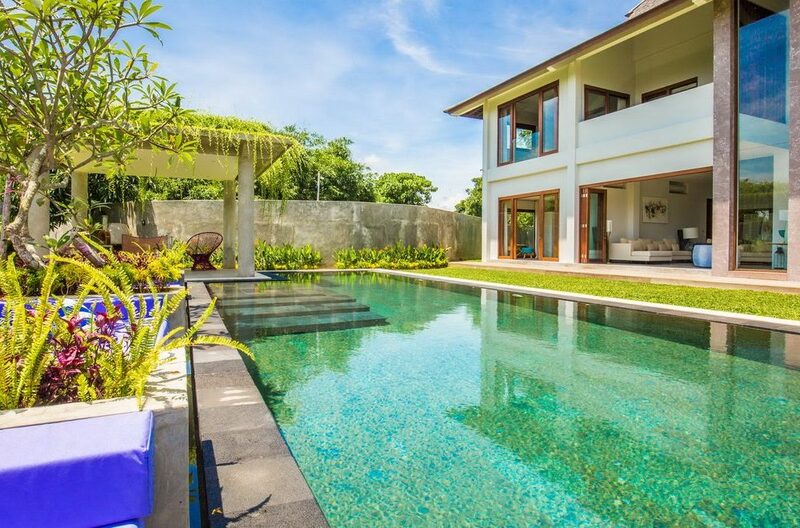 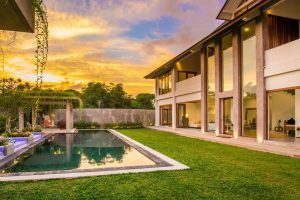 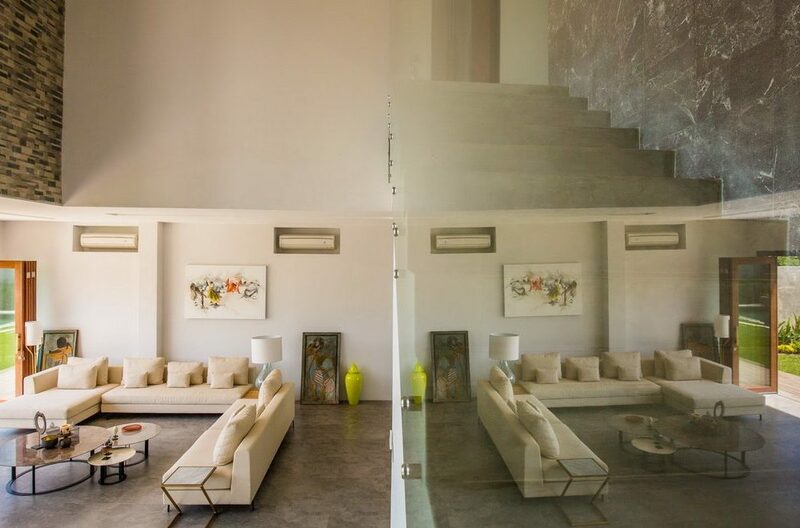 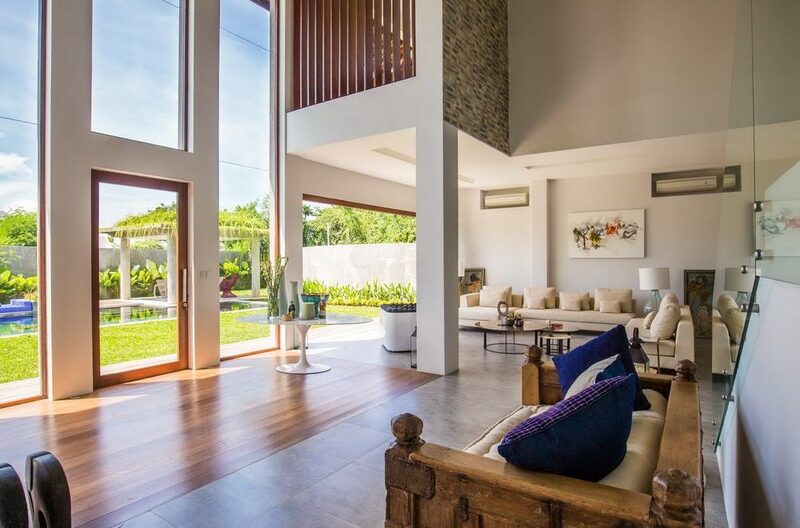 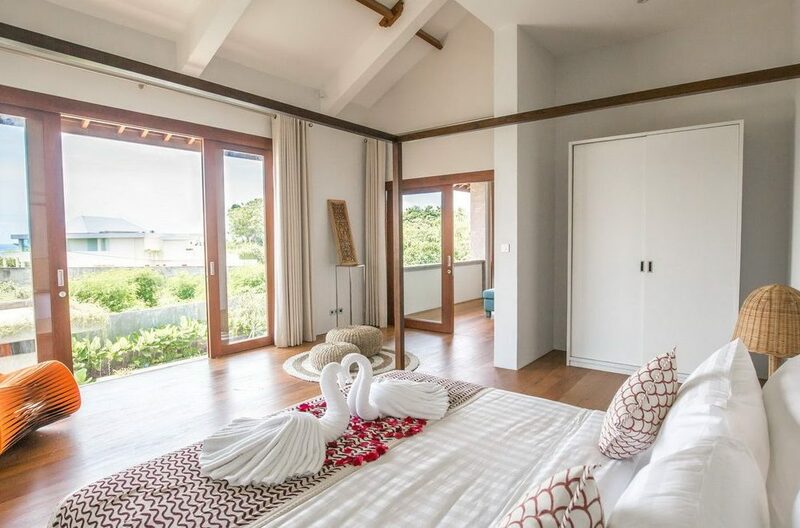 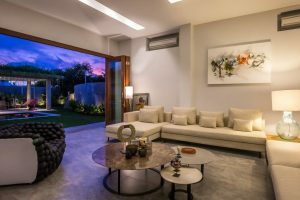 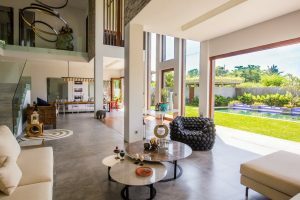 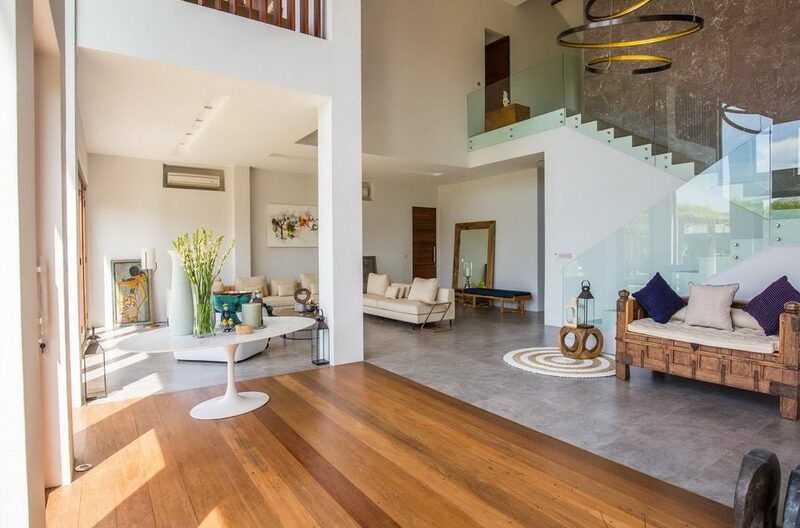 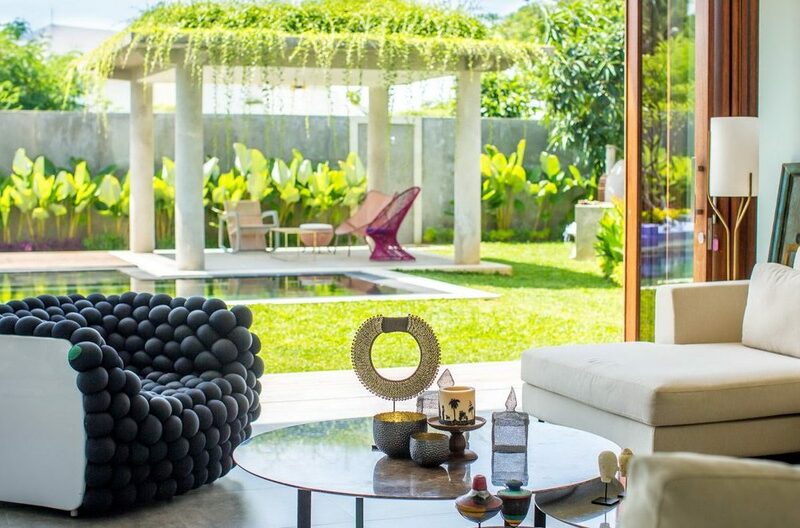 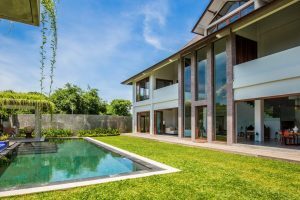 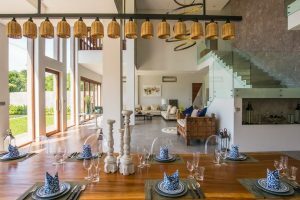 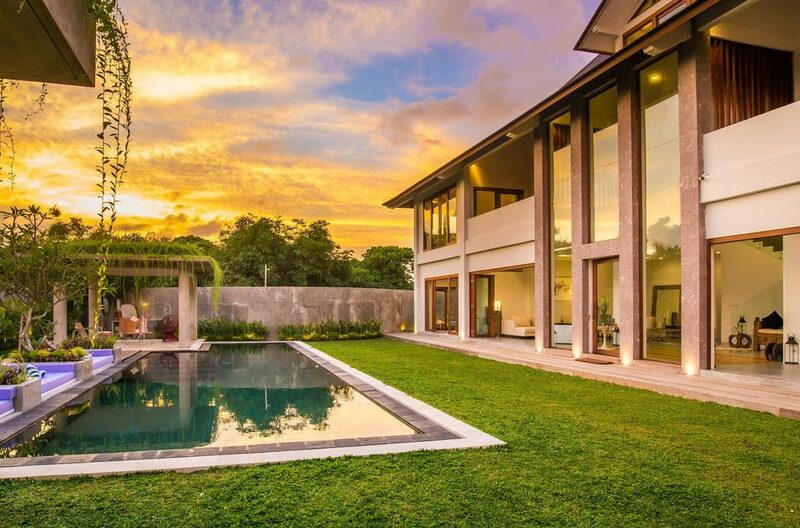 This is a wonderful villa for a large family or groupwanting to be in the idyllic & peaceful seaside area of Sanur. 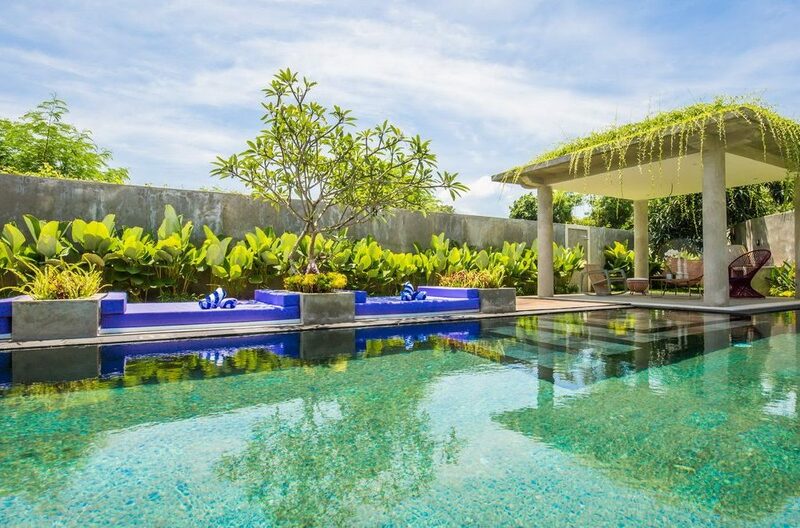 There is a team of professional Balinese staff that will help make all your holiday dreams come true.